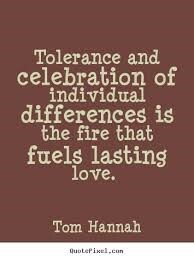 The value work of tolerance is about accepting others, their opinions, beliefs and life choices. This quote sums this up completely. We need to accept that we are all different and it is through this acceptance that love can grow.